En español | The U.S. Food and Drug Administration (FDA) doesn’t evaluate the safety and effectiveness of dietary supplements such as vitamins, minerals, herbal remedies, enzymes and probiotics, but that doesn’t stop people from consuming them in the hope of attaining smoother skin, stronger muscles, sharper minds or better health. Seniors, in particular, are big users: A 2017 study based on federal health data found that 70 percent of Americans 60 and older take at least one supplement, and 29 percent report using four or more daily. Supplements can have genuine health benefits — helping us meet changing nutritional needs as we age, for example. Unfortunately, the supplement trade also attracts plenty of scammers who spread disinformation in order to hype questionable products and entice the unwary with deceptive marketing schemes. Makers and sellers of bogus supplements use direct mail and websites (often designed to mimic real news and magazine sites) to tout their products’ efficacy against all kinds of ills. Claims to improve memory, ease arthritis, even stave off the ravages of Alzheimer’s disease may be accompanied by enthusiastic testimonials from satisfied users, impressive results from clinical studies and ringing endorsements from medical specialists — all of them fabricated. If you’re skeptical, scammers have another enticement — a free, no-risk trial offer. What have you got to lose? Money, and potentially a lot of it. You’ll probably be charged a nominal shipping fee, but that allows the fraudsters access to your credit card information. They may go ahead and bill you for the full price of the product or enroll you in a long-term subscription costing hundreds of dollars a year, under terms that are undisclosed or buried deep in the fine print. These scams can hurt more than your bank account. Supplements, even those described as “natural,” may pose health risks. Some interact harmfully with particular medications or alter their effectiveness. Worse yet, in recent years regulators have discovered that hundreds of supplements are tainted with prescription drugs and other potentially dangerous chemicals. Promises that a product will treat or prevent diseases, especially if the claim is that it can cure a whole range of ailments at once. Companies that urge you to hurry up and order a product because supplies may not last. 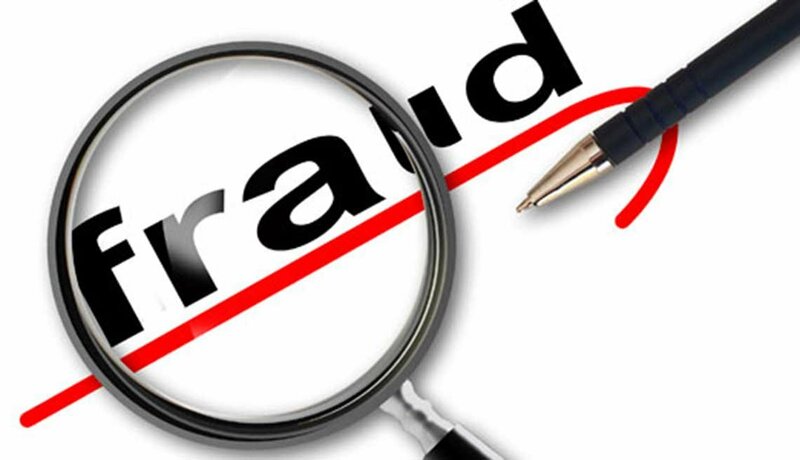 Do be skeptical about promotional materials filled with scientific-sounding terms such as “glucose metabolism” or “thermogenesis.” The Federal Trade Commission (FTC) warns that scammers use jargon like that to mislead consumers. Do research a supplement company online. Look for complaints about it from other consumers. Do look for signs of fake news. Deceptive marketers appropriate the logos and names of familiar publications and news outlets to give their product claims an air of legitimacy. Do keep an eye on your credit card statements so you can spot right away if you’re being billed for something you didn’t order. If that happens, report it to your credit card company and see if you can get your money back. Do contact your doctor immediately if you have an adverse reaction or become ill after taking a dietary supplement. Don't give too much credence to extreme claims about a product — for example, that it can reduce blood pressure by 60 points or burn 4,000 calories a day of excess fat to promote rapid weight loss. Don’t try a product unless you’ve talked to your doctor about potential side effects and interactions with any legitimate medications you’re taking. Don’t enter into any subscription deal unless you understand what you’re getting into. Carefully read the full terms, including the fine print, and make sure there are clearly stated steps for canceling shipments and subscriptions. Don’t pay by debit card. Credit cards offer much greater fraud protection. The Food and Drug Administration’s website has a section on dietary supplements that includes a fact sheet for consumers over 50. If you have an adverse reaction to a dietary supplement, file a safety report with the FDA. If you suspect a supplement scam, call the Federal Trade Commission at 877-382-4357 or file a report online.